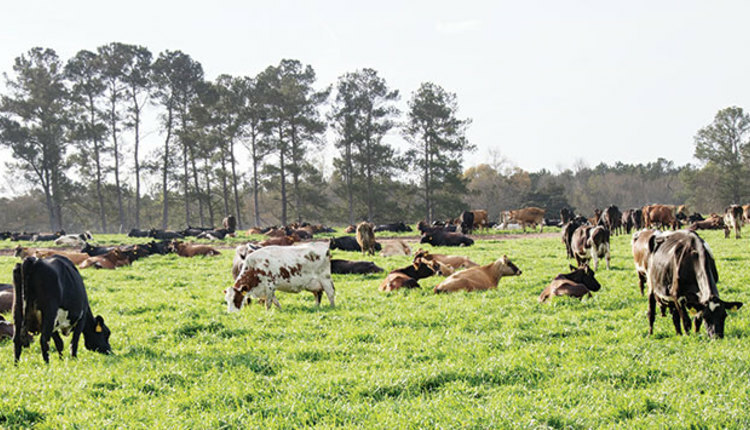 At times, feed and forage analyses combined with an advanced nutrition model diet or ration formulation provide the means to improve herd health, performance, and profitability. Yet, at other times, cows do not “read the book” or follow the plan as formulated on paper or in software. Health and performance may lag well behind what is desirable and profitable for the dairy. 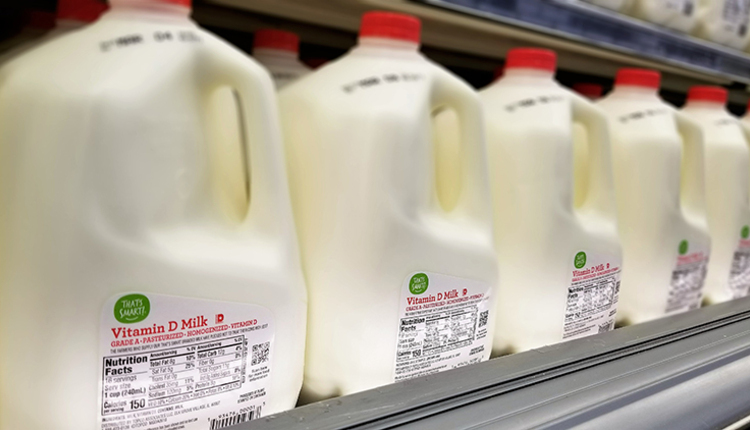 In these cases, projected milk performance and reality can differ by 5 to 10 pounds per cow or more! 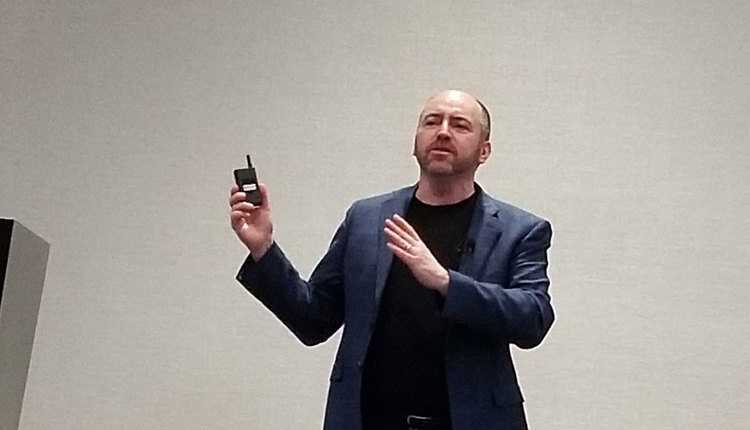 These situations tend to be frustrating for both nutrition consultants and the dairy’s owner or manager, as we must move beyond the feed analyses and software toward investigative nutrition by observation on farm. 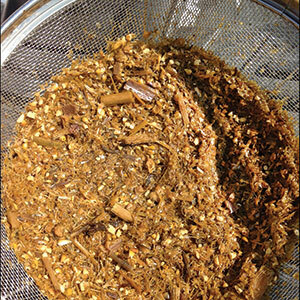 In a prior Hoard’s Dairyman article, “Observation tools: before the bunk,” on page 259 of the April 10, 2017, issue, feed and total mixed ration (TMR) hygiene and cleanliness investigative tools were discussed, along with TMR mix consistency checks. Nutrition robbing factors or mixer to feedbunk deviations can detract from the expected plane of nutrition and herd health. Using the tools discussed previously will help identify hidden opportunities before the diet is consumed. But, after the feed is evenly spread throughout the feedbunk and the cows begin consuming a nutritious TMR, there are several observational tools beyond the nutrition model that can unlock profit opportunities. One of the most valuable tasks when visiting a dairy on a support or consulting visit is sitting or standing in an elevated area and watching cows eat. Eating behavior is a hidden clue to health and performance opportunities. Cows do best with consistency, and their eating behavior should demonstrate that. Spend 10 to 15 minutes watching cattle at the feedbunk. They should consume the TMR in a vertical, head-bobbing fashion without much side-to-side motion or rooting behavior — just like a baseball player bobblehead! High-performing and aggressive eating cows will dig into the TMR straight down and come back up with a full mouth of feed. There will inevitably be a “sorter,” but work to minimize this behavior. Cows are unique and have personality. Ideally there are less than 5 percent acting out like this. Watching eating behavior is valuable but can be subjective and sometimes not offer enough insight to completely understand TMR consumption or challenges. Three TMR shake-out results for top, middle, and bottom screens laid out. Paul Dyk and his team at Quality Liquid Feeds, among others, have taught us that consistent ration intake can also be objectively checked with a Penn State shaker box or dry matter oven. Review how consistently the pen is eating with several particle size or dry matter checks after the TMR is fed. Evaluate the top screen and pan weights in the case of the shaker box (as a percent of total weight) or dry matter in the oven. With either method, take samples and evaluate them at least three separate times during the day and prior to the next day’s feed delivery. Both the top screen and pan weight and the TMR dry matter content should only vary by 5 percent or less from the originally delivered TMR. Lay the screened portions out next to each other for an additional visual assessment (See Image 1). If the top screen content drops (from 10 percent to 5 percent, for example), then the cows are seeking out longer fiber. In this instance, the diet is effectively getting shorter throughout the day. This situation may indicate subclinical acidosis or rumen upset due to other anti-nutritive factors. 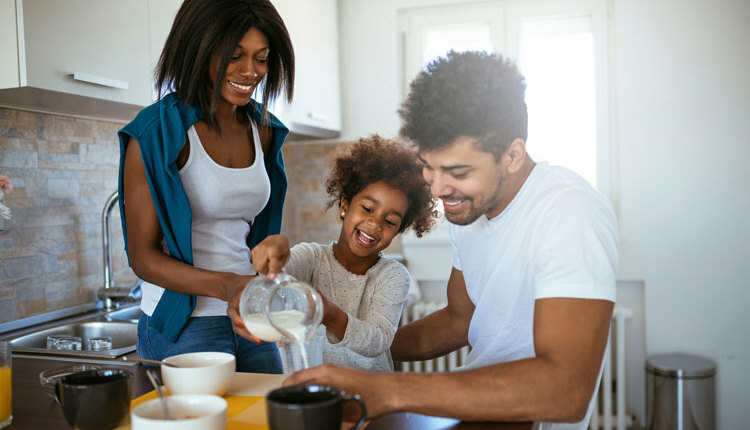 In some cases, this observation may accompany heightened sodium bicarbonate consumption if this ingredient is available free-choice at the bunk. 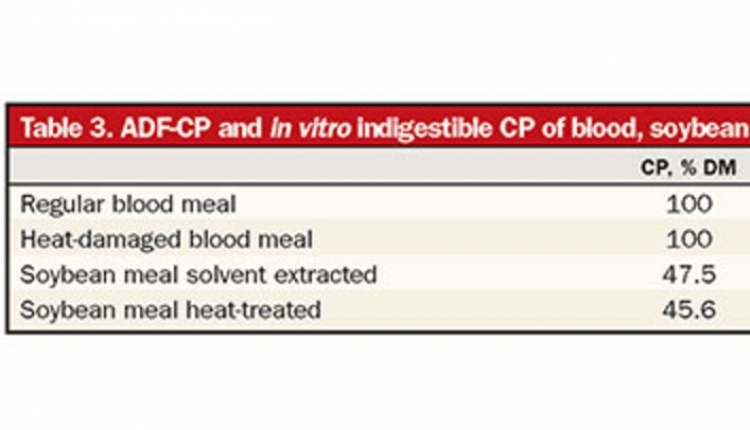 In these cases, the formulated diet is typically sound, but feed delivery and/or feeding management is the culprit. For example, the TMR may not be mixed long enough or the mixer is worn, leading to a stratified mix or and uneven delivery at the feedbunk. With rumen upset potential, check the TMR mixer accuracy to ensure the ration delivered mimics the formulated diet. If less than 2 percent refusals are desired, ensure that cows have feed available for a full 24 hours each day. 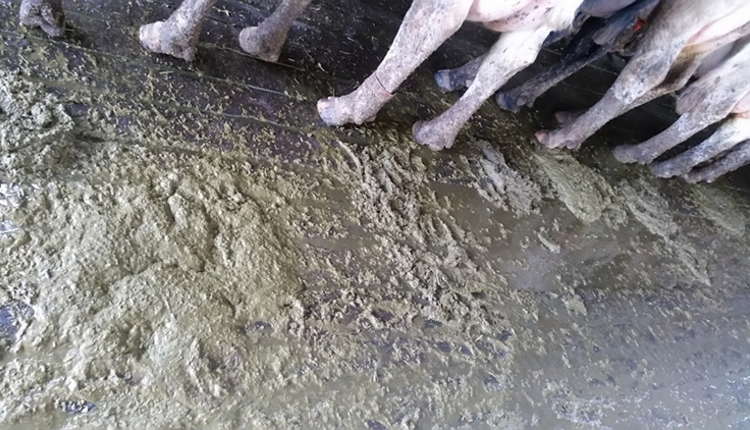 Empty feedbunks and hungry cows can lead to slug feeding post TMR delivery, which could result in rumen upset. On average, a dairy cow will digest about 45 percent of the fiber in the diet. 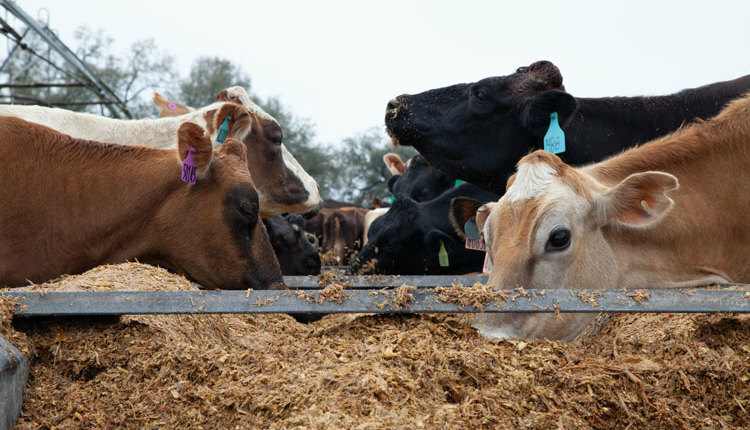 For a cow consuming a TMR composed of 50 pounds of dry matter and 30 percent fiber, this equates to digesting about 7 pounds (and leaving about 8 pounds undigested). Yet, better or worse forage can lead to as little as 3 pounds or as much as 11 pounds of fiber digested! Would your performance be better from digesting 3 or 11 pounds? There will always be fiber passing through the cow, but a coarse sieve or simple kitchen strainer can help visualize this last phase in nutrition — TMR digestion — and identify opportunities. 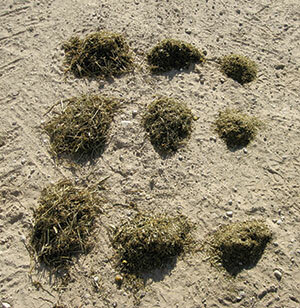 Start with your highest intake cow groups, and sample at least 10 undisturbed manure piles. 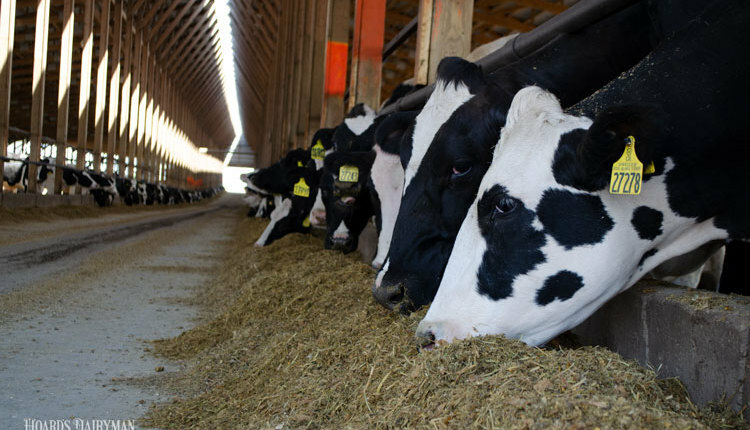 Many dairy owners, managers, and consultants walk pens and assess undigested feed through manure, but take these valuable observations further by washing the manure. This offers particle size assessment, from that which wasn’t digested by high-performing cows. 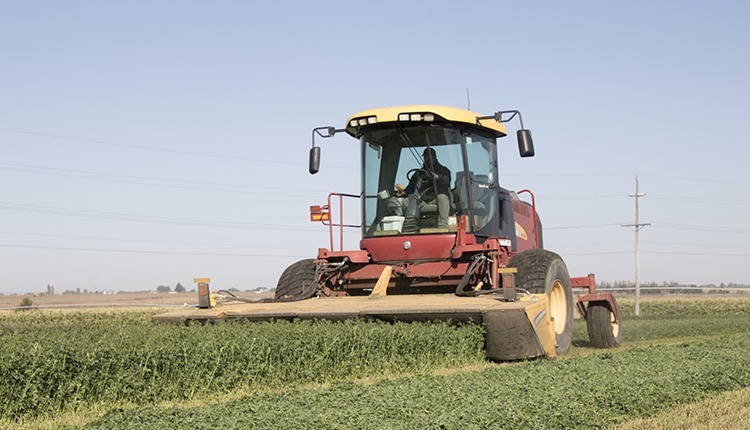 The fiber remaining should be “pine-needle”-like in size and include little to no whole corn stover or hay and haylage stems. When whole fiber shows up, such as that in Image 2, diet energy and fiber digestibility need to be addressed. When whole corn can be identified, corn grain particle size or passage rate issues could be contributing to less than ideal grain digestion. Consult with your nutrition advisory team as to how these opportunities could best be addressed. 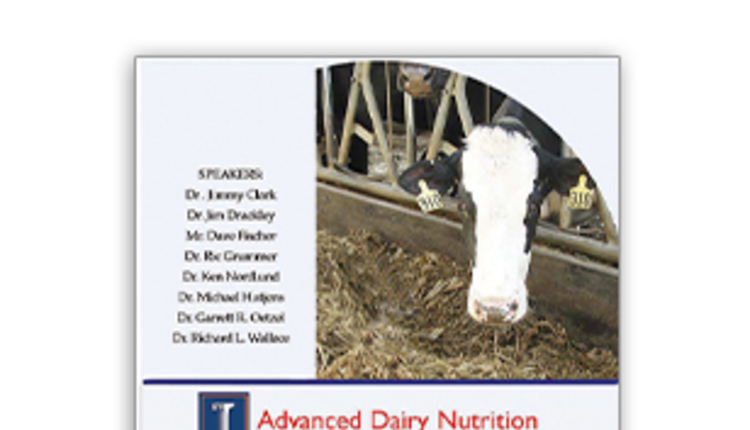 The best formulated dairy cow diets do not always perform as anticipated. Dairy cows will often show us where we have opportunity to improve, but we must be observant. Consider adding the tools discussed into your herd walks and observation efforts. You may find additional profit opportunities within TMR delivery, consumption at the bunk, or TMR fiber and starch digestion.